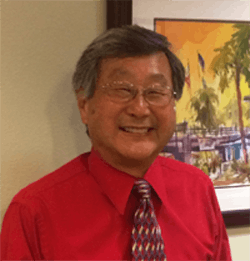 Dr. Yabuki resides in Huntington Beach with his wife, Gail. His parents moved to the area in 1957 to farm land in northern Huntington Beach and after graduation from dental school, he returned to his home town. He and Gail raised two sons who are now pursuing their own careers after graduating from college. He graduated from U.S.C. with a B.S. and U.C. San Francisco School of Dentistry with a B.S. / D.D.S. in 1979. He joined this dental practice in 1981 as an associate dentist and is currently the practice owner. He enjoys the diversity of “Family” dentistry and is most interested in providing his patients “State of the Art” adhesive and cosmetic dentistry. Both Dr. Yabuki and his wife are active in their church and community. He enjoys woodworking, gardening, playing golf and dabbling with his computer. He is a member of the Orange County Dental Society, the California Dental Association, the American Dental Association and the American Academy of Sleep Medicine. Dr. Jeff Coleman is the newest addition to our dental practice. 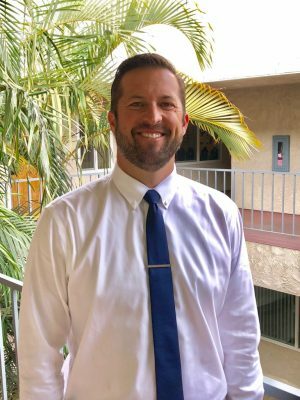 Dr. Coleman has been practicing general dentistry since his completion of dental school in 2011 and continues to provide patients with the same care you’ve come to expect from Dr. Yabuki. Dr. Coleman is proud to be a Huntington Beach native. After graduating from Marina High School he attended the prestigious University of Southern California where he received his Bachelor of Science degree in Business Administration with an emphasis in Entrepreneurship. After completing his undergraduate studies Dr. Coleman returned to the USC School of Dentistry where he received his Doctor of Dental Surgery (DDS). He is dedicated to practicing dentistry with careful attention to detail and deep personal respect for both his patients and colleagues. We at the office think he is a great addition and we think you will too. In his off time Dr. Coleman enjoys spending time with his daughter Preslie. Outside of the office you will catch him on his electric bike up and down the boardwalk. Dr. Coleman is an avid snowboarder and skier and enjoys going on ski vacations. You can also find him relaxing and boating at the Colorado River where he enjoys waterskiing as well as wakeboarding. In addition to this, Dr. Coleman enjoys traveling, relaxing at the beach, and spending time with his friends and family.